Lone Tree, CO is a quickly developing southern suburb of Denver that offers many opportunities. With a number of beautifully manicured golf courses, extensive trail systems, parks and world class shopping, many families are attracted to this location. Denver Post called Lone Tree “little city with big plans” and you can see why – Charles Schwab just finished a new slick facility in Lone Tree, relocating thousands of employees to this new location, Kaiser Permanente has a new building and new restaurants are popping up everywhere. Evolve Real Estate and Property Management has a lot of experience with Lone Tree residential sales and Lone Tree property management, after all it is our backyard. If you are looking to have your Lone Tree home professionally managed, you can’t find a better company. We lease and manage small lofts to large executive type homes in the Heritage Hills and Carriage Club neighborhoods. Not sure if you should rent or sell your home in Lone Tree? Give us a call and we will create a personalized analysis for you, showing you all the options. We can offer leasing only services, full property management and sales services for Lone Tree residents. If your employer is relocating you to Lone Tree, we can help as well. 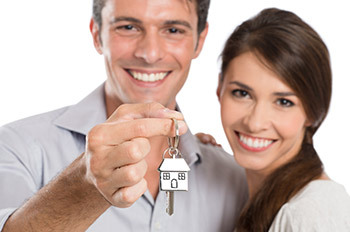 We will work hard to locate a rental or find that perfect home to purchase. Give us a call to inquire about the tenant services whether it is sales or rentals. If you want to be part of the urban lifestyle but want to pay the suburban price – Lone Tree is a good choice for you and there’s no one better than Evolve Real Estate and Property Management to help you navigate through Lone Tree real estate and rental market.